New Delhi, September 12: The Armies of India and United States are all set to undertake a joint military training Exercise Yudh Abhyas 2018 from 16 September to 29 September this year with an aim to work together in counterinsurgency and counter-terrorism environment in mountainous terrain under United Nation charter. The joint military training Exercise Yudh Abhyas 2018 between the two Armies will be conducted in the foothills of Himalayas at Chaubattia in Uttarakhand. This will be the 14th edition of the joint military exercise hosted alternately by both countries. The joint exercise Yudh Abhyas 2018 will simulate a scenario where both nations will work together in counterinsurgency and counter-terrorism environment in mountainous terrain under United Nation charter. The two-week exercise will witness participation of about 350 personnel of the US Army and similar strength of the Indian Army. The exercise curriculum is progressively planned where the participants are initially made to get familiar with each other’s organizational structure, weapons, equipment, confidence training and tactical drills. Subsequently, the training advances to joint tactical exercises wherein the battle drills of both the armies are coherently unleashed. The training will culminate with a final validation exercise in which troops of both countries will jointly carry out an operation against terrorists in a fictitious but realistic setting. Both armies have vast experience in active counterinsurgency & counter-terrorism operations and sharing each other’s tactics and drills in such diverse environment is of immense value. The exercise is a great step for the armies of the two democratic countries to train together and gain together from each other’s rich operational experiences. The latest exercise will help further build interoperability between the forces of both the nations. 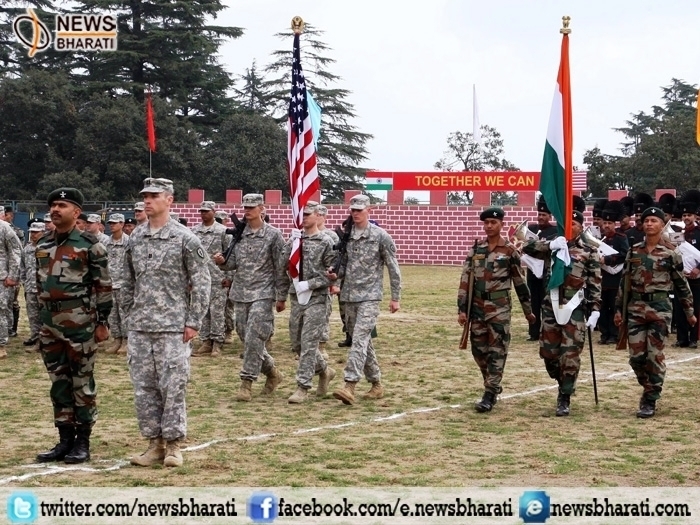 Importantly, the two-week 13th Indo-US Joint Military Training Exercise Yudh Abhyas – 2017 with an aim to get jointly trained, plan and execute a series of well-developed operations for neutralization of threats of varied nature concluded 28 September last year at Joint Base Lewis McChord (JBLM), Washington, USA.